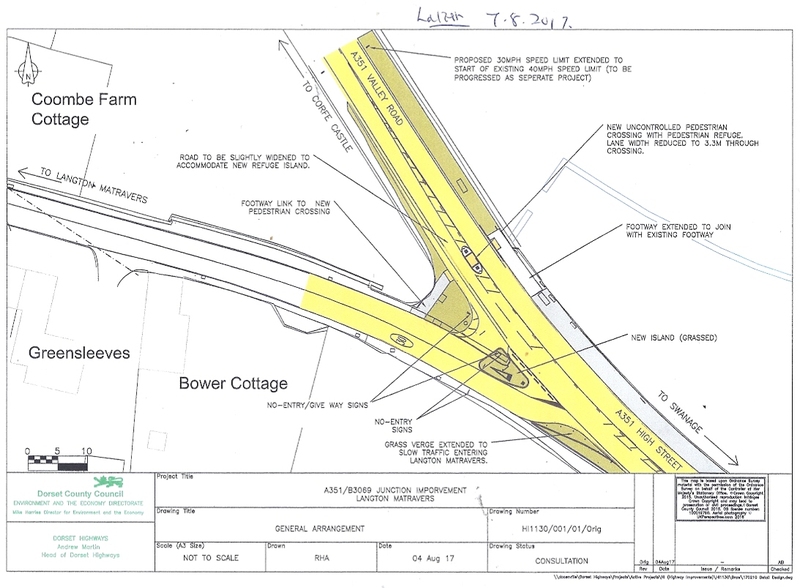 Langton Matravers Parish Council > Latest Parish Council News > Latest News > New start date for pedestrian/cycle crossing at Coombe. DCC Highways have just announced that, due to financial pressures, they have had to re-programme the scheme. Once the budget is approved, it will now be constructed in the autumn of 2018. The new layout will include separate entrance and exit lanes, with a small island in between. There will be a pedestrian ‘island’ on the West (Wareham) side of the junction, which will make crossing safer for those on foot and with a cycle. The new layout will cost c. £330,000 to build.